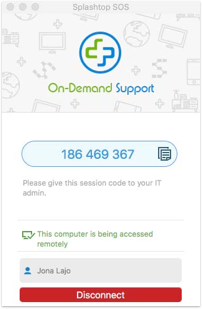 Our hosted support team may need to access your device remotely to configure or troubleshoot your service easily. 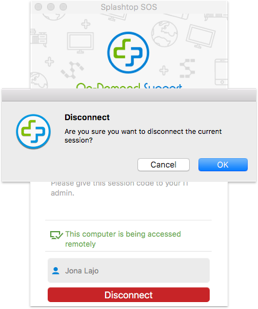 Follow the steps below to setup remote access on your desktop. 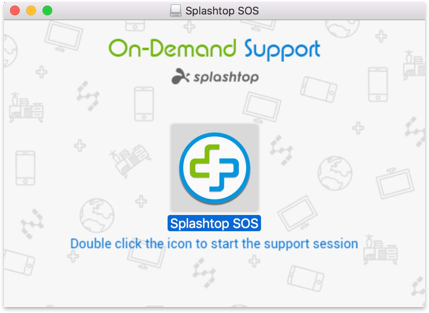 Download the Splashtop remote tool. Click the downloaded file. The application should pop-up automatically. 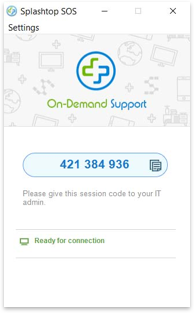 Provide the displayed number to Hosted Support. 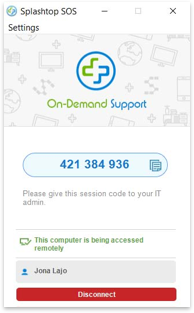 This will allow us to access your computer securely. 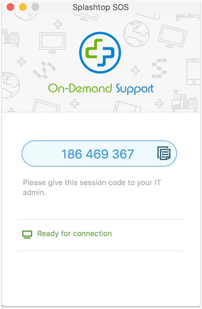 If the connection is successful, the name of our specialist will appear on the application. 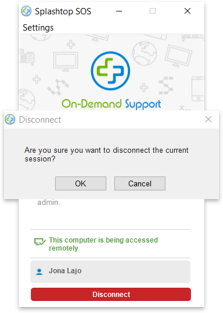 Once troubleshooting is complete, you may click ‘Disconnect’ and select ‘OK’ to stop sharing your screen. 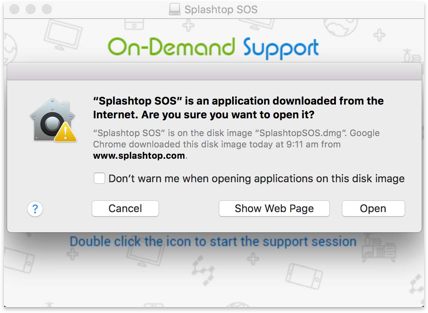 Open the file and double click the Splashtop icon. 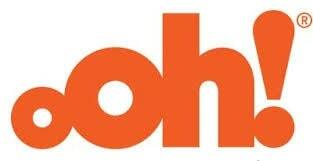 Select ‘Open’ on the prompt. Once complete, the application will pop-up automatically.